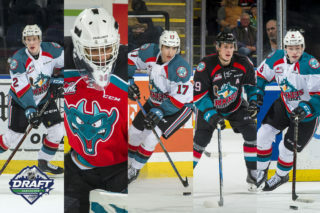 Former Kelowna Rockets forward Reid Gardiner, older brother of current Rockets forward Erik Gardiner, has been named to the 2018 ECHL All-Rookie Team. Gardiner is having a fantastic year in his first full pro season. In 56 games this season with the Wheeling Nailers, the ECHL affiliate of the Pittsburgh Penguins and the Wilkes-Barre Scranton Penguins, the Humboldt, SK. 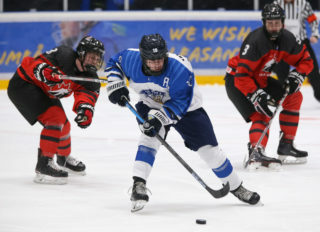 native scored 28 goals, and added 26 assists for 54 points. His 28 goals are second most among rookies across the ECHL. He is fourth in points among rookies and his eight game winning goals are tied for the rookie lead and second overall in the ECHL. He is also fifth among rookies in power play points with 16(7G, 9A). The 5’11 sniper made the list as determined by a vote asked of ECHL coaches, broadcasters, media relations directors and media, to select a goaltender, two defensemen and three forwards to the All-Rookie Team. 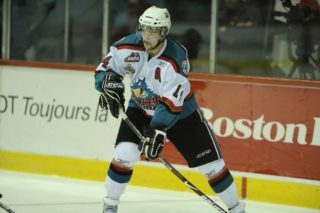 Though his time in Kelowna was short, he made a big impact in that time. 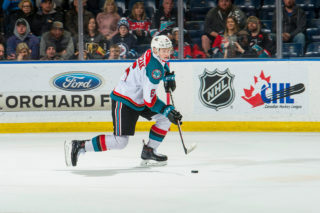 He played in 28 games for the Rockets during the 2016-2017 regular season after being acquired at the trade deadline from the Prince Albert Raiders. In his 28 game stint he amassed 18 goals and 19 assists for 37 points. 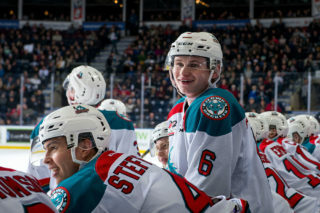 The speedy winger carried the Rockets offence for much of the post season as well, as he recorded a whopping 15 goals and 13 assists for 28 points in just 17 games to finish third in league scoring in the WHL Playoffs, despite being eliminated in the Conference Championships.